If you run a courier business, then it is very likely that you will own a number of vehicles that need insurance. In which case, it’s equally likely that you will need a courier fleet insurance policy, which can accommodate a number of vehicles (and in some cases, can include mixed vehicle types). However, if you’re an independent courier with one van – or a small number of vehicles – then a single courier van insurance policy is often sufficient. This is where insurance is provided for each vehicle individually; you simply choose the level of cover (third party only, third party fire and theft, or comprehensive) for the vehicle(s). This is similar to your private motor vehicle insurance, though it is worth checking with your insurance broker if there are any exclusions or excesses that you might need to be aware of in each case. Whether you operate a single vehicle or a fleet of them, your vehicles and drivers will need to be accounted for, so the value of all of your vehicles, and the driving history of your employees, will come into play. As, of course, will all of the goods that you carry, your employees, and the members of the public that you will come into contact with during the course of your work; all will require a level of insurance protection that is specific to your needs. While generally a courier fleet is classified as 5 or more vehicles, a mini fleet policy is available to cover 3 or more vehicles. Typically, this type of policy can initially be slightly more expensive than insuring three vehicles on single policies. However, if your business is looking to expand in the near future, then this type of policy will accommodate further vehicles (and drivers) as they join the fleet, effectively saving you money as and when this happens. The potential to insure different types of vehicle – different van sizes and cars, for example – under one policy. This is specific to the insurer, though, and the majority of vehicles will normally need to be vans. Well managed fleets can be rewarded, as one of the elements of the cost of your policy is your claims experience; the fewer the number of claims, the greater the chance of keeping your insurance premiums down. However, it is also worth bearing in mind that individual drivers will not build a courier no-claims bonus on a fleet, and accidents that happen can potentially have an impact on the insurance premium charged for the whole courier fleet. 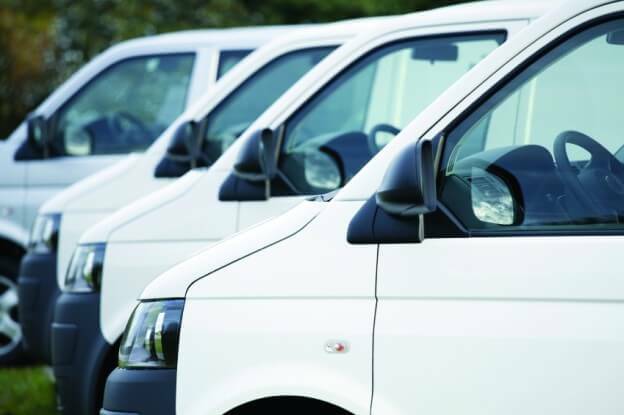 Where smaller fleets (5 or fewer vehicles) are concerned, it is worth bearing in mind that managing individual courier van insurance policies might actually work out cheaper for you. Want the best advice on the right policy to meet your courier insurance needs? Contact ChoiceQuote on 0800 440 2180, or fill in our courier insurance quote form to find the right products at the right price.